Back to 1885 - A Fan Adventure! What: A Back to the Future Part III themed Fan Adventure! Hill Valley Festival! Train rides on the movie’s famous Sierra #3! 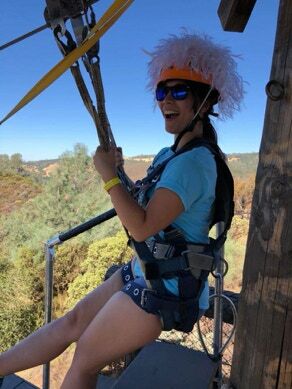 Exclusive souvenirs, photo ops of a lifetime, and more Wild West Adventures (high above and deep underground) than you can shake a squirrel at! 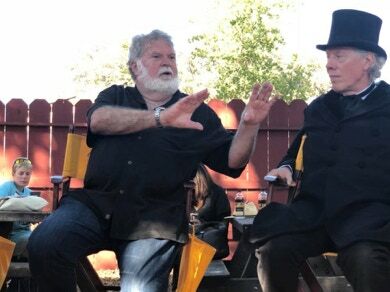 A genuine Gold Rush era Hollywood experience! When: September 5-9, 2019 (5 days) - Thursday is 'Arrival Day' and Monday is 'Departure Day'. Where: Northern California, Historic Columbia, with visits to Jamestown and surrounding areas. In 2019, ‘Hill Valley Citizens’ will not only gather together, but LIVE the movie in an experience like no other • Sleep in a genuine 1800's hotel, straight out of the movies (four nights included in “The Whole Shootin’ Match” ticket.) • Gather under the stars for an outdoor screening of Back to the Future Part III • Board the famous movie star Sierra #3 Steam Locomotive featured in Back to the Future Part III • Pan for real gold and take your claim home with you • ‘Journey to the Center of the Earth' on a Jules Verne adventure underground or perform a lightning-speed zip line stunt leaping from our own ‘clock tower’ to the ground below • Dance at the Hill Valley Festival and take old timey photos • DeLorean rides • Stagecoach rides • Cowboys and Indians • campfires, chuck wagon cooking, and more than a few surprises. 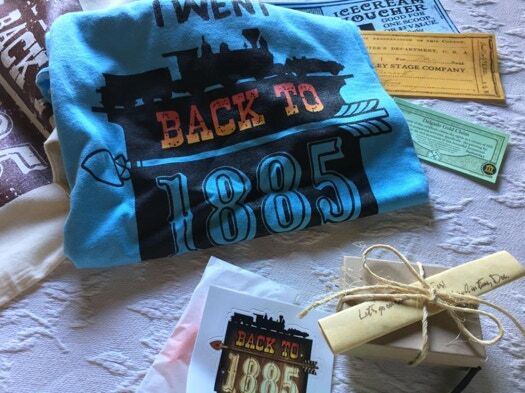 Relive the fun, excitement, heart, and adventure of the inaugural 4-day 'Back to 1885' fan event that celebrates everything 'Back to the Future Part III'. 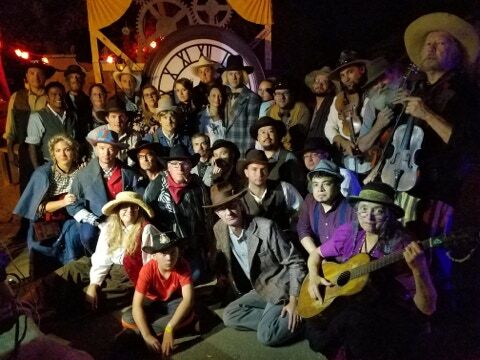 The historic towns of Columbia, Jamestown, and Sonora, California set the stage for the biggest tribute of the third installment of the beloved 'Back to the Future' time travel trilogy. 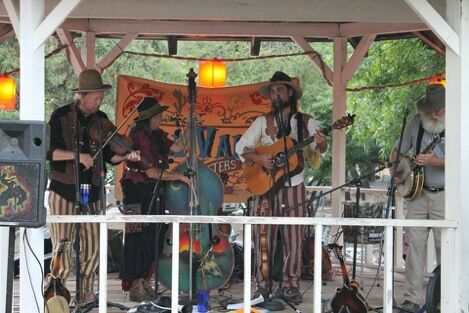 Note: Terry and Oliver Holler will arrive in Columbia State Historic Park on Sunday September 1st. Although the event kicks off on Thursday, September 5th, we will be preparing things beforehand. We’ll be around, so anyone is welcome to come out early to enjoy, relax, explore, and lend a helping hand if you want to! Yosemite National Park is nearby, home of El Capitan, featured in the recent film Solo. If you’ve never seen this amazing natural wonder, it would be a rewarding experience. THIS IS THE WHOLE SHOOTIN' MATCH TICKET HOLDER'S ITINERARY. (All Inclusive!) Select items herein are included with the purchase of the ‘Single Day' Tickets. 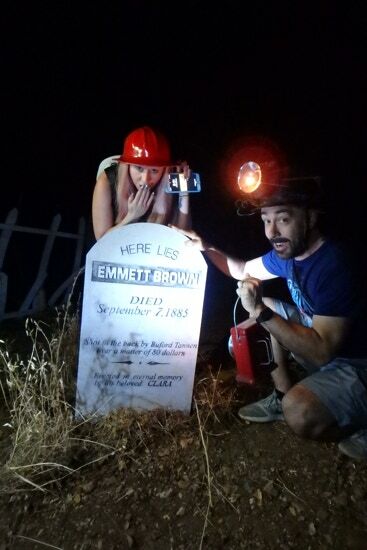 9:00 PM — Follow Doc’s Instructions to Boot Hill Cemetery and the Delgado Mine. 9:00 AM — Depart for adventure! High above, or deep below Hill County! 1:00 PM — Depart for Red Hills, former Hill Valley Set Location. 2:00 PM — Arrive at Red Hills. 8:00 PM — Movie begins. 10:00 PM — Return to Columbia hotels. 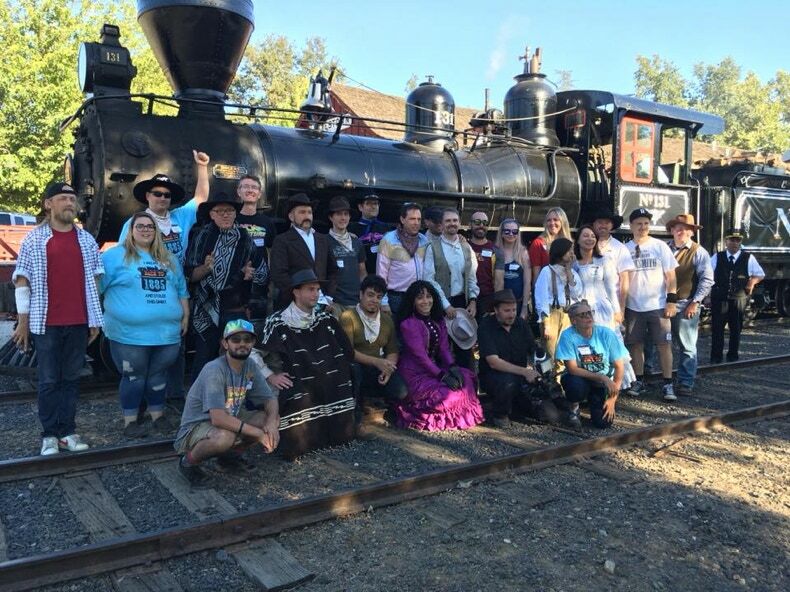 10:00 AM — Train Excursion on the actual movie train, Sierra#3! 11:00 AM — Return to Hill Valley Train Station. 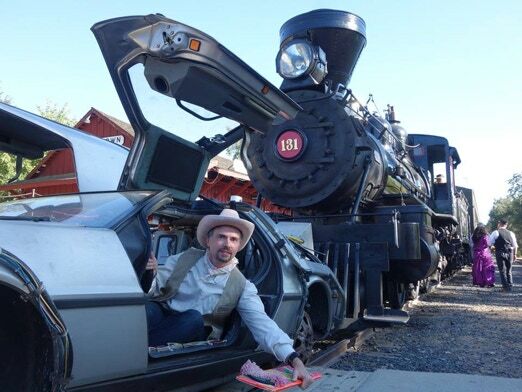 11:00 AM - 3:00 PM — DeLorean Rail Rides! 11:00 AM - 3:00 PM — Photos of #3 ‘pushing’ the DeLorean, between excursions. 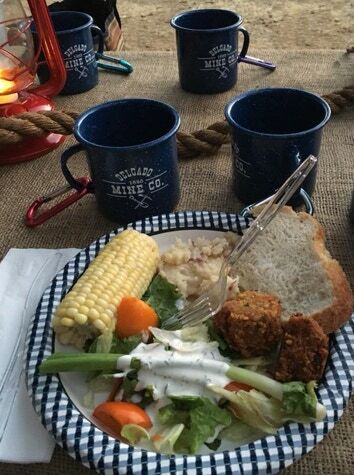 12:00 PM — BBQ Lunch! 4:30 PM — Final group photos with cast, crew, attendees, #3 and DeLorean. 5:00 PM — Pack up, undress train. 5:30 PM — Walk of Fame. 2:00 PM — Festival Photo Ops begin! 4:30 PM — Whole Shootin’ Match Fancy Dinner! Your attendance will benefit The Michael J. Fox Foundation for Parkinson’s Research! Get your tickets — before you’re OUATATIME! This is the All-Inclusive ticket! Hotel, meals and more. ‘Hill Valley Citizens’ will Eat, Sleep, Play and LIVE the movie Back to the Future Part III together in an experience like no other! Everything included in the single day tickets, PLUS hotel accommodations, meals, T-shirt, and other exclusive extras. BONUS! 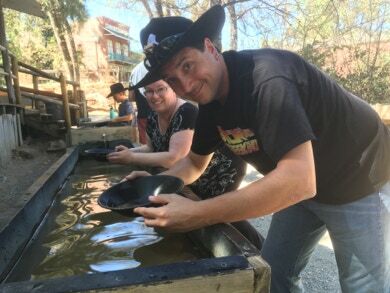 This ticket also includes Thursday’s activities, featuring the ‘Howdy Party’, with a night time stroll to Boot Hill Cemetery and Delgado Mine to find the abandoned DeLorean time machine. 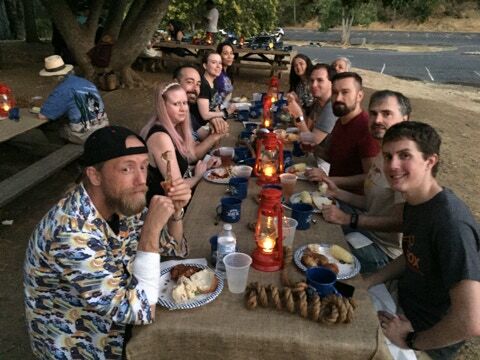 It also includes the ‘Happy Trails Party’ with a hearty breakfast served before everyone rides off into the sunset. Some pre-event and post-event activities will also occur, for those who come into town early and leave late. Sale Price will end on June 1st! 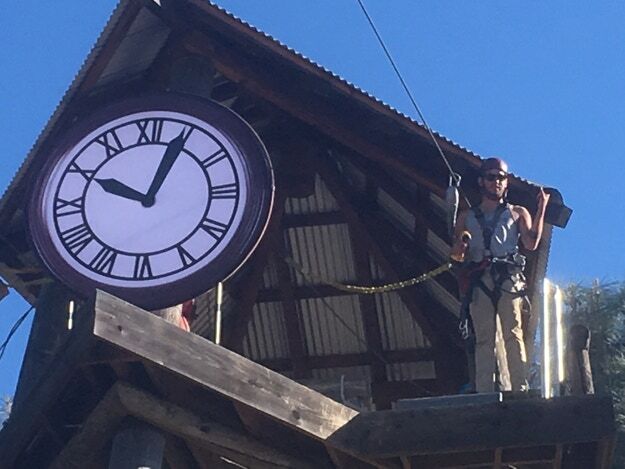 A full day, beginning at Moaning Caverns Adventure Park to perform a lightning-speed zip line stunt, leaping 1500 feet from high atop the clock tower to the ground below! If you’re ‘chicken’, you can opt for a Journey to the Center of the Earth on a Jules Verne expedition underground, deep inside Moaning Caverns. Enjoy a picnic lunch, then regroup at the actual movie location of Hill Valley, in the Red Hills! Take a guided tour with knowledgeable locals who were there during production! Keep a sharp eye out — you might just discover a remnant of the old set! 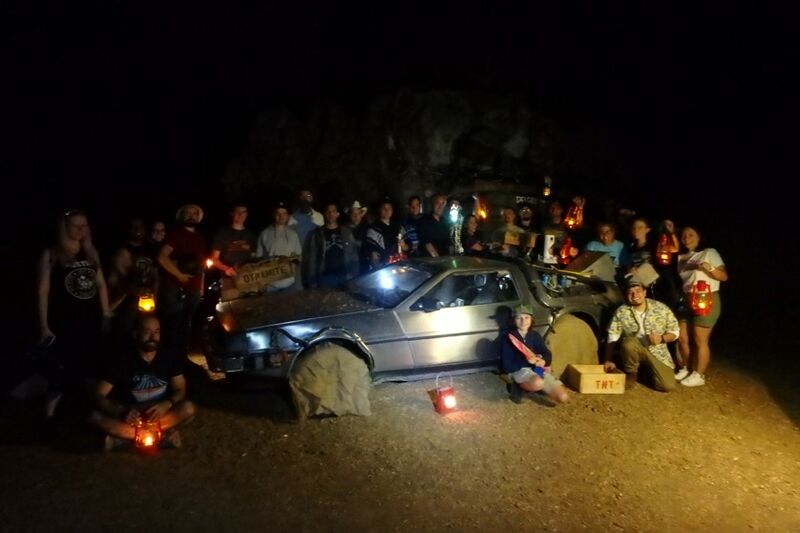 Climb into the cockpit of the DeLorean time machine for a western photo op! Finally, gather under the stars as we create the Pohatchee Outdoor Theatre for a screening of Back to the Future Part III. This ticket Includes admission and parking, plus a collectible, souvenir event ticket (with stub to enter a special drawing with prizes!) Also includes a T-shirt, drinks, Koozie, a folding chair, snacks, activities, a collectable poster and bumper sticker and MORE is included in this fun-packed day ticket! All Aboard! Embark on a thrilling excursion, crashing past the ‘Point of No Return!’ towards Shonash Ravine on the most famous steam locomotive in the world! Railtown State Historic Park’s Sierra #3 will make history, reprising it’s role from Back to the Future Part III as the #131, complete with the caboose used in the film! Enjoy a catered lunch, an exclusive panel with guest speakers involved with the movie, followed by an autograph session. Then climb into the cockpit of the DeLorean for a ride on the rails in a race against TIME! Group photos, souvenirs, a special exhibit of genuine artifacts from the film, guided tours of the historic Roundhouse, a collectible train ticket and MORE is included. The day ends with a stroll along the Walk of Fame, commemorating the Hollywood movies and television shows filmed in the area. Finally, get locked up in JAIL by Sheriff Strickland in an authentic 1800’s slammer and take mugshots of your fellow outlaws for your future ‘Wanted’ poster! 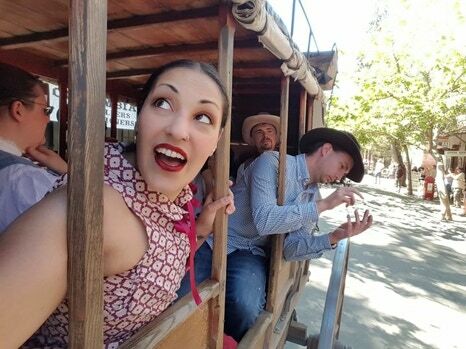 Dress up in your best wild-west outfit and enjoy an entire day of activities in Hill Valley! 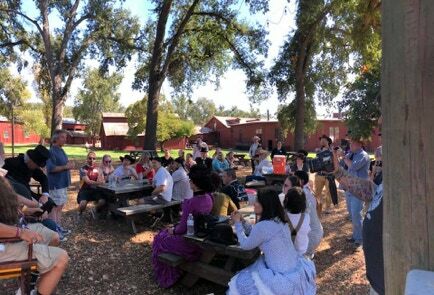 Columbia State Historic Park becomes the home of the Hill Valley Festival, featuring stage coach rides, panning for gold, games and more! Enjoy a refreshing ice-cream at the local parlor and wet your whistle with a Sarsaparilla in the Saloon. Take aim at the Colt Peacemaker Target Gallery (everyone wins a prize!) and try on a coffin for size at the Undertakers. Manure? We got it! Sniff out a familiar cart operated by Mr. Jones and have him take you for a ride down main street! Did your horse throw a shoe? Well, head on over to Doc’s blacksmith shop to see his assistant working. There are some cool souvenirs, (for an additional charge) and he’ll even pound steel letters into a horseshoe to personalize it for you! Have your old-timey photo printed and framed, standing in front of the new town clock! Costume contest, Frisbee Pie eating contest, souvenirs and MORE! As dusk falls, dance the night away to live music. Yes, the clock tower will be in the background, still under construction and covered in scaffolding. The DeLorean Time Machine will be parked for photo ops. Feed the Mr. Fusion Reactor a donation, and it will talk to you! ﻿Special Note: The people of this community helped make Back to the Future Part III’ so the Hill Valley Festival will serve as a reunion while celebrating these supporting-player luminaries and behind-the-scenes heroes. Who knows? You may have the chance to do-si-do with a local movie star! Please understand, the permits do have limits and we want to be safe and respectful to the property. Capacity is limited. Includes admission and parking, plus a collectible, souvenir event ticket (with stub to enter a special drawing with prizes!) Gates open to public at 6:30. Movie starts at 7:30. Enjoy an evening of Back to the Future Part III shown ON LOCATION, where it was filmed! 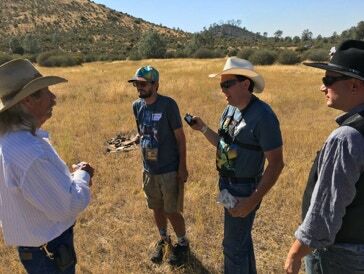 We’re creating an appropriate environment where the original western sets once stood. Travel back in time to… The Pohatchee Outdoor Theatre! ﻿Experience the final installment of the 'Greatest Trilogy of all TIME’ while raising funds for the Michael J. Fox Foundation for Parkinson’s Research. ﻿By special arrangement with Universal Pictures, Back to the Future Part III will be shown in this exclusive location, to celebrate local fellow movie-goers who were actually part of the movie! ﻿With real drive-in movie speakers, Doo-Wop music, and a snack bar, you'll be transported back in time to 1955 when Doc sends Marty to the rescue! ﻿Door prizes will be handed out at intermission and a few extra-special surprises will occur throughout the event! Who: Produced by Oliver and Terry Holler and friends. 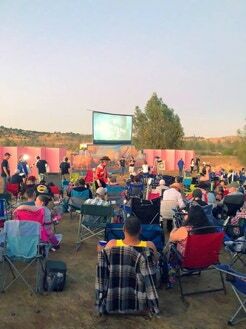 What: Outdoor screening of Back to the Future Part III. Why: Fundraiser for The Michael J. Fox Foundation for Parkinson’s Research. ﻿This is a gated, pre-purchased, ticketed event, raising funds for the Michael J. Fox Foundation for Parkinson’s Research. Admission Tickets will NOT be sold on site. ﻿YOU MUST PRINT YOUR RECEIPT TO SHOW AT THE GATE FOR ENTRY. ﻿Please understand, the permits do have limits and we want to be safe and respectful to the property. Capacity is limited. Includes admission and parking, souvenir poster, bumper sticker, a drink, plus a collectible, souvenir event ticket (with stub to enter a special drawing with prizes!) Gates open to public at 6:30. Movie starts at 7:30. We listened to your suggestions and we’re going to make this better than last year! More lighting! Easier ticketing! And children 12 and under are free with each paid admission! Yay!